Our most updated logo may be found on this page. It’s high quality, so please use it instead of the crap from Google images. 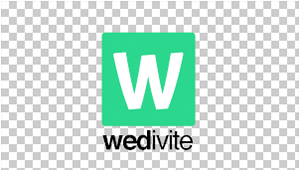 You can create free online wedding invitations at Wedivite that will not only substitute your invitations, but also act as a wedding website. Grab our press kit for our logo file with black, white & transparent backgrounds in various sizes.